Create an environment to boost the mental development of your children. 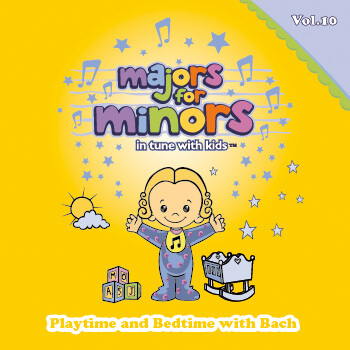 What is Majors for Minors? 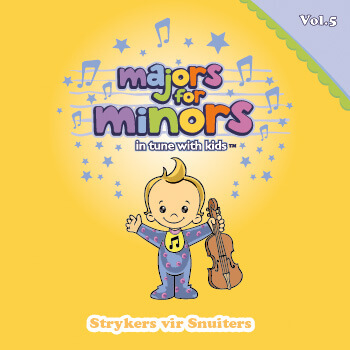 Majors for Minors is a collection of 13 audio albums with classical music, specifically designed and produced for optimal brain stimulation in babies and children. "The visibly calming effect the music has on my little one is absolutely amazing to witness." "We never start bedtime without Symphony of Sleep. It has transformed our routine from a nightmare to a dream." Classical Music Nursery Rhymes introduces babies and young children to the benefits of active music stimulation. When played in the background during sleep or play, these popular and universal nursery rhymes combine the benefits of classical music with familiar tunes that your child will grow to know and love. Classical Music Lullabies offers your baby the finest benefits of passive music stimulation. This creates a calming atmosphere whenever necessary, especially every night at bed time. You are your child's guardian angel. Your magic can make or break, create or destroy. It's a challenge, a responsibility and a magnificent opportunity. Babies are born into the world primed to learn, but they need you, not only to teach and stimulate but to trust and be loved. 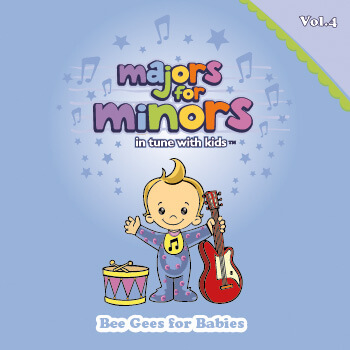 Bee Gee's for Babies is nutritious and healthy classically orchestrated music written by the Bee Gee's, which will bring back all those memories of good times. Saturday night fever no longer needs to be sleepless nights with high temperatures! This CD may also be used during activities or learning. Strykers vir Snuiters is vrygestel van weë 'n groot aanvraag vir 'n Afrikaanse weergawe van Majors for Minors, wat reeds 'n huishoudelike naam is op die terrein van breinstimulering vir kleuters. Gewilde Afrikaanse Kinder- en tradisionele musiek, opwindend in 'n klassieke idioom verwerk deur die bekende pianis en komponis, Christa Steyn. 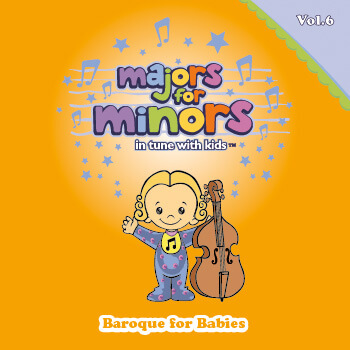 Baroque for Babies is an ideal collection of classical music featuring the works of various composers from within and out of the Baroque era, all produced and arranged in Baroque style. Research has shown that Baroque styled music works extremely well to stimulate the brain. This compilation is ideal for active stimulation and can benefit the entire family by reducing levels of stress. Learning the Orchestra is a magical learning journey with 3 favourite fairy tales, that will teach your child the individual sounds of various instruments of the orchestra. 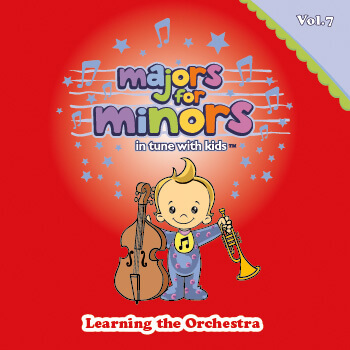 Your child will learn the orchestra in an enjoyable and imaginative way, while also introduced to melody, musical themes, underscoring and truly beautiful original music. Symphony of Sleep is a compilation of classically orchestrated music that's been designed to calm the body and mind into a peaceful state of sleepiness. That sleepy state that that your child will grow to love, can now be more easily reached. Through the incorporation of passive music stimulation using our special ingredients, the body and mind will relax and let you enjoy the tranquility of peaceful sleep. 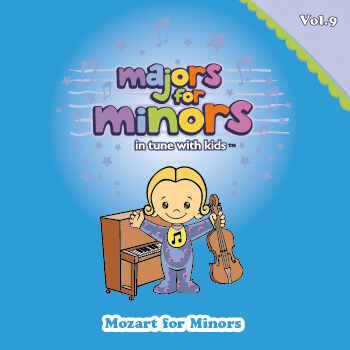 Wolfgang Amadeus Mozart was an extraordinary musician who began displaying his musical gift at a very young age, playing the piano confidently at age four, and composing his first piano pieces at age five. The "Mozart Effect" is an inclusive term signifying the transformational powers of music in health, education and well-being. Playtime and Bedtime with Bach was developed embracing Bach's Baroque era compositions, and combining this with our unique formula. The first half is designed to stimulate children during activity (active stimulation). By de-stressing the brain it prepares young listeners for effective play and learning. The second half creates a peaceful atmosphere. Tranquility flows from the calming effect of this passive stimulation. Soothing sounds from nature, interwoven with beautiful melodies from Bach, Beethoven, Vivaldi and other great composers makes this compilation a UNIQUE and CALMING experience. 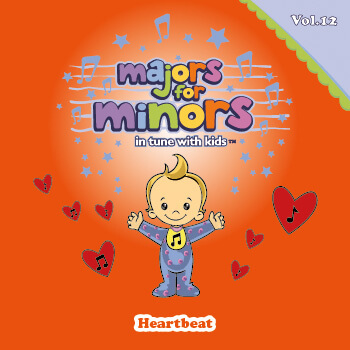 Through the use of carefully identified specific frequencies, and below heartbeat tempo, this album helps to create the ideal environment for learning, concentration and sleep. Heartbeat is the ideal music stimulation for in-utero and newborn babies. Within the womb, from as early as six months, the unborn child experiences many sounds, including the ever-present heartbeat. 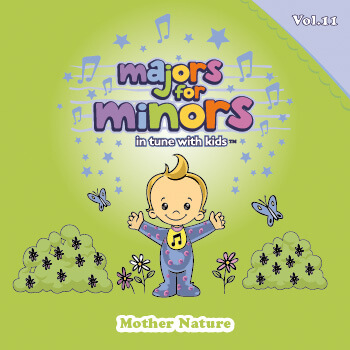 This album, with its many nursery rhymes and lullabies (which become major influences in the formative years), provides benefits to baby which now also include the comforting effects of the familiar heartbeat. Soothing Sound and Song expands our successful formula by adding soothing voices with celtic influences as well as tibetan bowls, pink noise, below average heartbeat tempos and sound frequencies, all designed to calm. 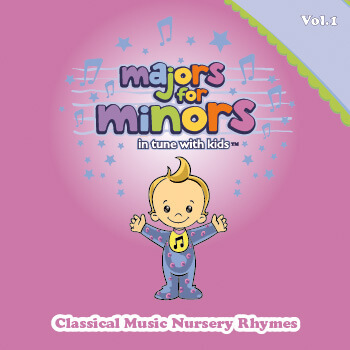 These twelve beautiful tracks include re-arrangements of well-known nursery rhymes and our own original songs composed with beautiful melodies and touching lyrics. Through the incorporation of passive music stimulation, offers a relaxing and positive musical experience for babies, children and their parents.